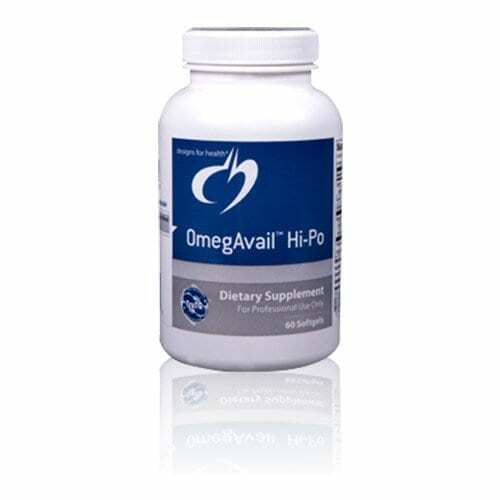 OmegAvail™ Hi-Po contains fish oil in its natural TG (triglyceride) form. All DFH TruTG™ fish oil products are a minimum 90% natural TG bound omega-3 oils. OmegAvail™ Hi-Po is molecularly distilled and filtered to ensure purity and to maximize the removal of metals, pesticides, PCBs, and other contaminants. Lipase is added to enhance the digestibility and mixed tocopherols (antioxidant) is added to enhance the stability of the product. Recommended Use: As a dietary supplement, take two softgels daily with meals, or as directed by your healthcare practitioner.